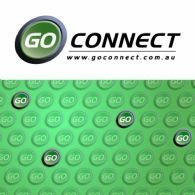 GoConnect Limited (ASX:GCN) is a global media communications company, based in Melbourne, Australia. 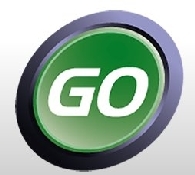 Established since August 1999, GoConnect is a forward thinking organisation, which core business is the online delivery of interactive audio/video content through its unique and proprietary technologies. In 2000, GoConnect pioneered the delivery of video on the Internet through its own patented video delivery technology GoTrek and the GoTrek derivative for the mobile phone, m-Vision in 2003. The Directors of GoConnect Limited (ASX:GCN) are pleased to present the financial report for half-year ended 31 December 2017 and Appendix 4D report. Since our last AGM held on 31 May 2016, GoConnect (ASX:GCN) has undergone significant improvement both in respect of the financial position and our business focus. GoConnect Ltd (ASX:GCN) is pleased to advise that Go Green Holdings Ltd ("Go Green Holdings") has continued to make significant progress in its Virtual Reality ("VR") businesses with the formation of three new strategic partnerships. GoConnect Ltd (ASX:GCN) advises that Shenzhen Xiaozhai Technology Co Ltd, manufacturer and vendor of Bobo VR, leading VR headset manufacturer and vendor in China, has entered into a strategic partnership framework agreement with Go Green Holdings for Go Green Holdings to be the wholesaler and distributor of Bobo VR headset products to the global telco industry. GoConnect Limited (ASX:GCN) is pleased to advise that Go Green Holdings Ltd has entered into a shareholder agreement with Australia&apos;s premier business news publisher and corporate communications platform ABN Newswire to establish ABN Go VR Ltd. ABN Go VR Ltd will be launching the world&apos;s first Virtual Reality ("VR") corporate news and communications media channel branded as ABNGoVR. GoConnect Limited (ASX:GCN) 45% owned Go Green Holdings in collaboration with Global Brand Consulting announce Dream Factory Virtual Reality ("Dream Factory"), a virtual reality and augmented reality celebrity curated shopping experience. Directors of GoConnect Ltd (ASX:GCN) are pleased to advise that the company&apos;s IPTV business channel, World Business Network, has just received approval from LG Inc. (SEO:066570) and has gone live on all LG Internet connected TVs sold globally. The World Business Network is available as a downloadable application on all Internet connected TVs of LG. It currently carries two programs, The Business Show, which distributes a series of sponsored business interviews conducted by Adam Shand, and the ABN Newswire business news programs. Directors of GoConnect Ltd (ASX:GCN) and Priority One Network Group Ltd ("Priority One") are pleased to advise that they have established a second beachhead into the Greater China region. The two companies have entered into a Shareholders Agreement with Novel Orient Ltd ("Novel Orient"), a company based in Hong Kong. GoConnect Ltd (ASX: GCN)("GoConnect") is pleased to announce the signing of a Memorandum of Understanding ("MOU") with Beijing&apos;s Hope Software Co Ltd ("Hope") to establish an equal partnership in order to cooperate on the development and operation of a Business-to-Business ("B2B"), online networking platform, for both businesses within Mainland China and international businesses targeting China.